Ever see a video and think "damn that would make a great GIF"? 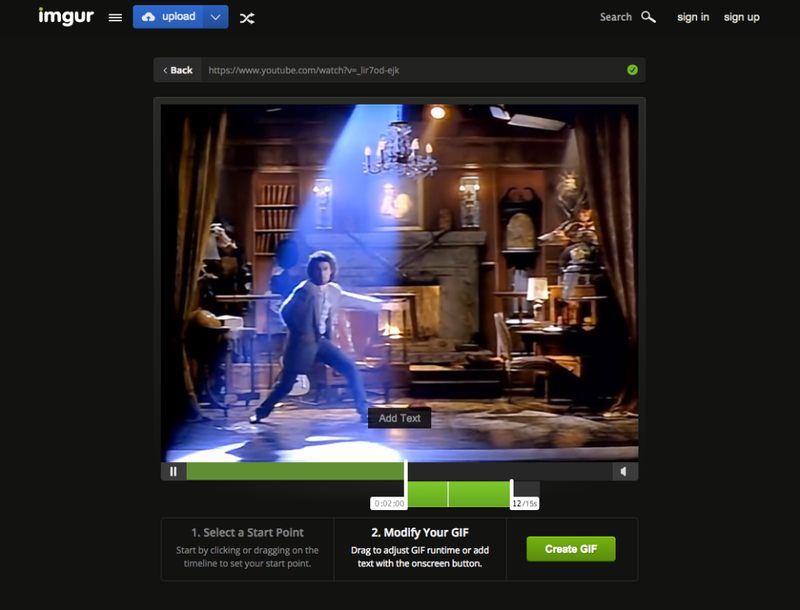 Well now you can use Imgur to make quick and easy gifs from video files and streamed videos. There are already a bunch of programs out there that do this but if you've got an Imgur account (like me) it's a wonderful new feature.